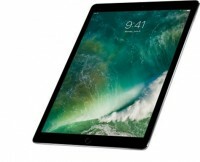 Apple made a spectacular entrance in today's Worldwide Developers Conference with it's newly created iPad Pro of 10.5-inch and 12.9-inch model. ASUS ultra-slim ZENBOOK FLIP UX560 is what you want for job place. The Asus ZenBook Flip UX560 is a convertible laptop which switches to a tablet when one of your kid flouts to play games on this amazing flip laptop. And this powerful laptop, surely will serve you best during your work as this prototype is all-in-one PC. This HP Spectre x360 will buy you two for one how? Well, this laptop is not just a laptop, it can work as a tablet too when put in a folding shape. HP Spectre x360 mingled the best designs from most top Ultrabooks and whip into a perfect shape. 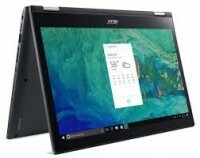 This $249 brilliant piece has amazing features and is a perfect type of secondary PC that can provide you with two delights of having a laptop and a tablet, actually the keyboard part is detachable.